The Motown East Zone has openings for 2 part time detailer positions in the Pontiac area. The online applicant system will be turned on at 7:15 AM Friday, May 29, 2015 and will close once we have 15 applicants. All applicants must apply on line at www.fritolayemployment.com. Advise your client group to enter zip code 48328 to access available positions, following the prompts. Individuals who wish to request a reasonable accommodation will find a link, as well as a phone number on the fritolayemployment website. Further information, job descriptions and process are detailed on the website. If you have any questions, please contact Brian Tokarz at 586-276-4106 or 734-374-8377. The Motown East Zone has openings for 2 full time merchandiser positions in the Sterling Heights area. The online applicant system will be turned on at 7:15 AM Saturday, May 30, 2015 and will close once we have 30 applicants. All applicants must apply on line at www.fritolayemployment.com. Advise your client group to enter zip code 48328 to access available positions, following the prompts. Individuals who wish to request a reasonable accommodation will find a link, as well as a phone number on the fritolayemployment website. Further information, job descriptions and process are detailed on the website. If you have any questions, please contact Brian Tokarz at 586-276-4106 or 734-374-8377. The American Legion Department of Michigan represents over 70,000 members in the State of Michigan. 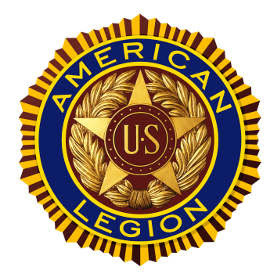 The American Legion was founded in 1919, based on “The Four Pillars”; veteran rehabilitation, Americanism, child welfare, and national security and continued above all its mission as a consumers’ advocate for veterans. For more information contact the Michigan Legion at 517-371-4720 ext 16, mark@michiganlegion.org, or visit our website at www.michiganlegion.org. Livingston County Veterans Treatment Foundation can only achieve its goals with the assistance of generous donations from members of our community. Without these donations, serving those in our area would not be possible. 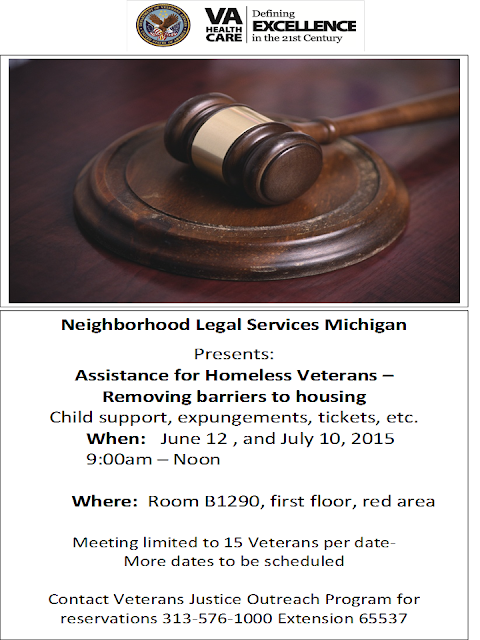 The Veterans’ Court program is funded by State Grants. Since the Livingston County’s Veterans’ Treatment Court program started after the 2015 fiscal year grant application deadline, the program has no funds to help with the participants involved. These funds go for treatment that may not be covered by their VA benefits, classes, assistance with housing, transportation and so on. Since our organization relies on the generosity of individuals like you, we write to ask you to consider a donation to our cause. 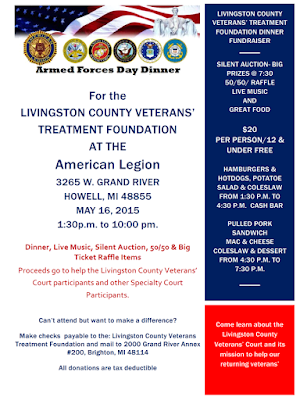 All donations are tax deductible and can be made to the Livingston County Veterans’ Treatment Foundation and mailed to the address above.